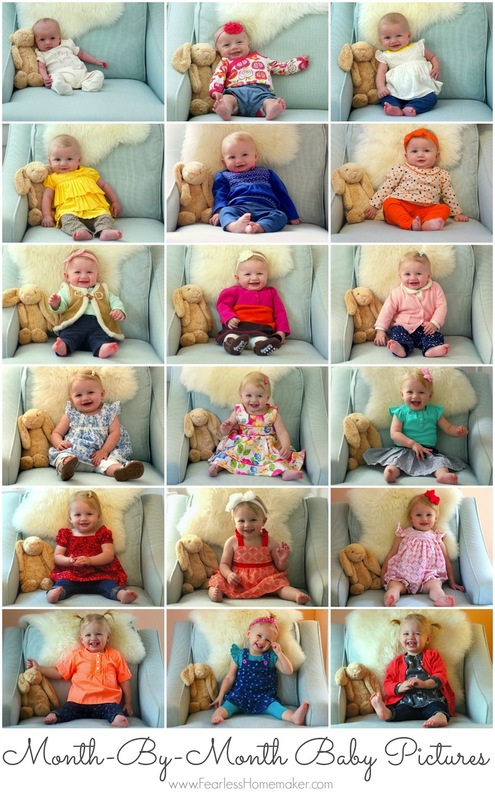 The premise is simple: I photographed Baby in the same chair, with the same stuffed bunny, every month from 1-18. I didn’t buy any special outfits for the photos – I just chose something that I had loved seeing her wear in that given month (and in the last two pictures, she helped me select her outfit, which was fun). And I wasn’t super fussy about the actual date of the picture – some months, I took it a bit early. Some months, a bit late. Whatever worked with our schedule/mood that month. I initially thought I’d stop with the pictures after 12 months, but I was enjoying taking them so much (+ Baby truly *loves* having her picture taken), so I decided to keep it up for a few months longer, until we reached 18 months, which felt like a good stopping point. I am hoping to still take a yearly birthday picture in that same chair each June – we’ll see if we’re able to complete that goal! I love this idea – Im sharing it with my sis – her little one is four months now. Better late than never. And how stinkin’ cute is your little girl?! Aw, baby fearless growing up so fast! What a cutie! So adorable! I love that she helped choose her own clothes in the last two photos. This is such a great idea to track the passage of time. What a lovely post to share! 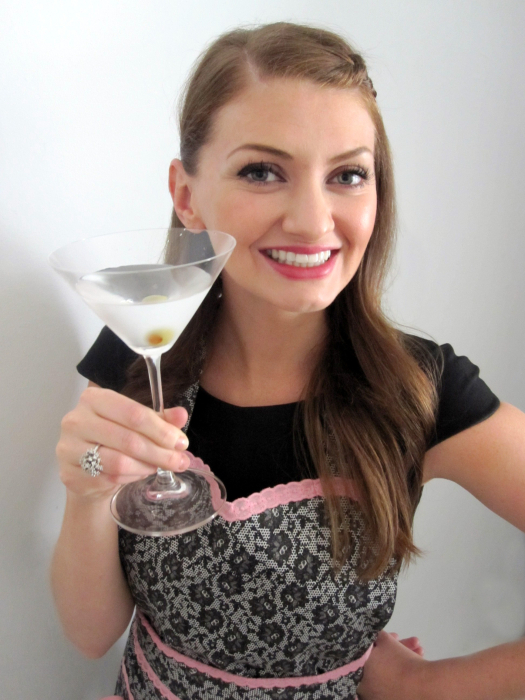 Carla + everyone else – thank you so much for your sweet words! I’m going to share them with Baby once she’s awake from her nap + they will totally make her day. I’ve seen this before and think it’s such a wonderful idea! I’ve never been organized enough to make it happen, but it sure is amazing to see how much they change in such a short time! Oh those grins and pigtails are KILLING ME!! 😀 She is such a doll – what a fun, beautiful, and special keepsake! So adorable! I can’t handle it!!! this is so adorable! i love it!! Aaaaw, I absolutely adore these gorgeous pictures! Fearless baby’s smile is so infectious! It’s so fun seeing her grow through the months. I love the chair and bunny she is so pretty and adorable!